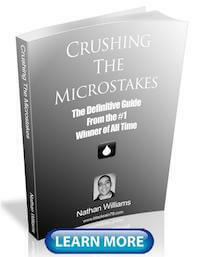 Making effective use of bet sizing at the micros can make a big difference to your bottom line. 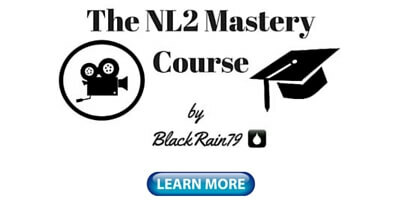 Those who have read my first book know that I advocate a lot of creativity with bet sizing both preflop and postflop at the lowest limits (NL2 especially). I don't think that people are quite so stupid less than intelligent at these stakes anymore though so I have since scaled back on some of the crazier suggestions. However, the principle still remains. There is an optimal bet sizing which will yield the highest EV for every opponent that you face. It is your job to find out what that is. 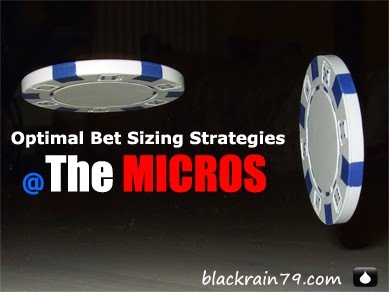 Before I begin I do need to be clear that I think that most of your bet sizings should standardized these days at the micros. This applies to preflop and on the flop in particular where you will make the large majority of your decisions. For instance, a lot of people will raise preflop to 3x or 2.5x and then follow it up on the flop with a CBet of about 60% of the pot. I don't think that there is anything wrong with this. A huge benefit to this strategy is that it saves time. 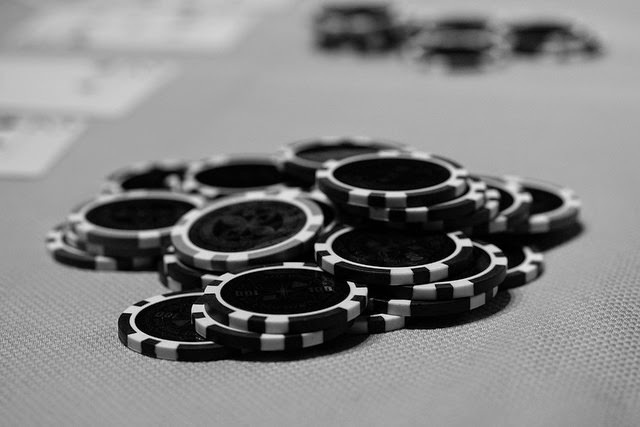 One of the biggest keys to success when multi-tabling online poker is using your time effectively. Debating over the sizing of every routine preflop raise or flop CBet is simply a waste of time. 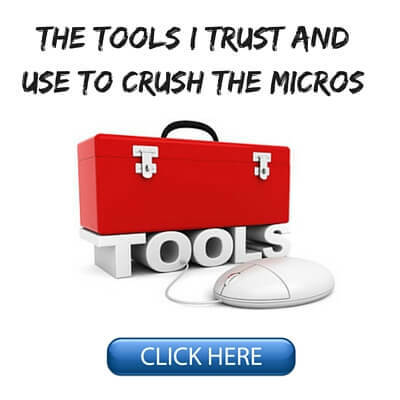 I don't think that standardizing your bet sizing in all instances at the micros is optimal though and that is what this article is all about. In What Situations Should You Consider Using Some Non-Standard Bet Sizings? Well I think clearly against recreational players. 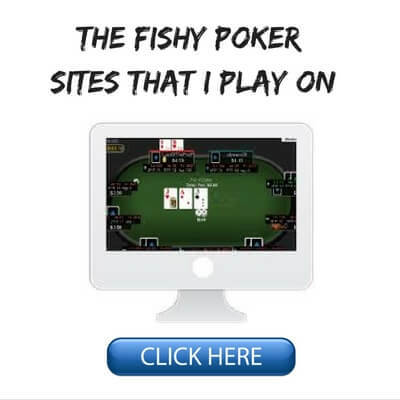 It blows my mind when I see good regs at much higher stakes who still do not know how to play optimally against fish. 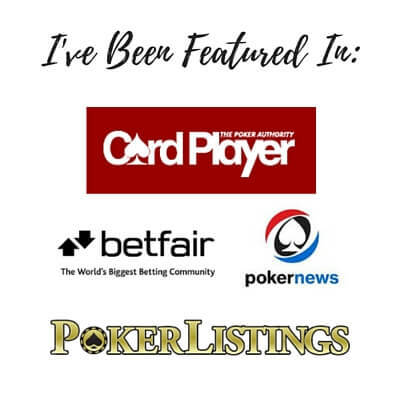 As I have said many times here on my blog, in videos and elsewhere it simply makes no sense at all to standardize your bet sizings or balance your range against a recreational player. Why? Because they are not paying attention to any of this. Most of them don't even know what a range is! Therefore, you should be adjusting your bet sizing upwards when you have it and adjusting it downwards when you don't. Betting 60% of the pot here would be ok but it is not optimal. We are up against an extremely bad player who is going to call if he hit any piece of this board. So if he has an ace he is calling literally anything. All aces are in this player's range and we crush most of them. If he has 6x, 3x, 54, a pocket pair of some kind, a flush draw or even some random gutshot he isn't going anywhere either. We crush all of these hands too. So we should always be betting more here such as 80% of the pot, full pot or even overbetting in some rare instances when a certain dynamic is in place. It should be noted that a lot of people get hung up in a situation like this because when they make a big bet and their opponent folds they think that it was the bet sizing that "scared them off." This could not be further from the truth. What made them fold is the fact that they had nothing. You have to remember that bad players still typically need something in order to call. It doesn't matter whether you bet 40% of the pot or 80% of the pot here, if villain has queen high with no draw he probably isn't calling. For the sake of discussion it should also be noted that if we had nothing here (hero has K♥Q♦ for instance) then we should always bet a smaller amount such as 40% or 50% of the pot. This is because we know that villain isn't going anywhere if he has a piece of the board. Therefore, we may as well risk the least. A recreational player like this is not taking any notes on your bet sizing. He isn't even using a HUD or paying any attention to how you play. He is looking at his own two cards and the only thing that matters is if he likes them or not. Standardizing any bet sizings against a player like this is simply throwing away EV. 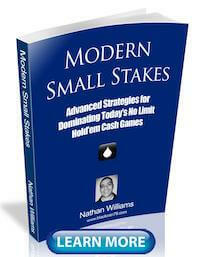 You should simply adjust your bet sizing according to your hand strength. Here is another simplistic example against a bad player but with a preflop decision this time. We should be 3Betting here 100% of the time. Balancing our play by flatting on occasion in a spot like this just doesn't make any sense. This sort of player is not paying any attention to our button flatting range. So how much should we make it then? Well, making a standard 3Bet to 9x here is ok but it is not optimal. Why? Because this is the type of player who does not fold to 3Bets at all (0%). Since we have the second best starting hand in hold'em we should always be taking advantage of this. We should therefore always be adjusting our 3Bet sizing upwards here. I would make it 4x minimum or even more if it is clear that this player is simply not folding at all. Always adjust for the situation and the opponent in poker. The "standard play" is often not optimal. 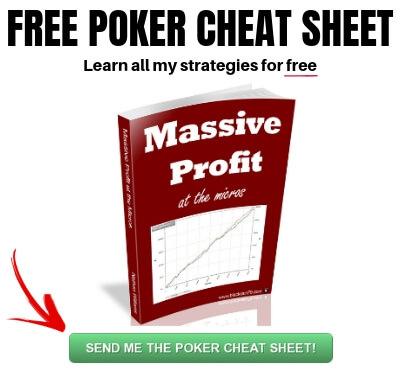 All situations are different in poker and the truly cerebral poker player has very few standard plays in his arsenal. What About Bet Sizing Versus Regs? 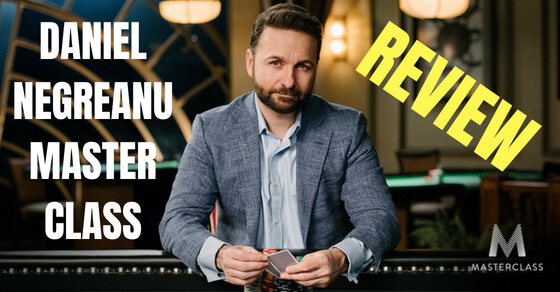 When facing a more capable opponent, such as the multitude of different regs that you will encounter at the micros, there is definitely a lot of benefit to be had by looking for an optimal bet sizing as well. Now we aren't going to get away with any of the ridiculous oversized 3Bets or full pot flop CBets like we just discussed versus the fish. This is because most regs will see right through it. I would just standardize my bet sizings for the most part versus them on these two streets (preflop and on the flop). However, on the later streets there is plenty of room to experiment with some more creative amounts. The turn and the river in particular are the two streets where most regs at the micros are really lacking. A lot of them are simply multi-tabling robots who are masters of the raise preflop and CBet the flop game. They will barrel sometimes on the later streets and make the odd call if they think somebody is bluffing them. However, for the most part they don't like to face a lot of confrontation and will often make the "safe play" and fold if they don't have the nuts. We would like to get the max value out of our made hands though and have the highest possible success rate with our bluffs. The typical 60% of the pot bet sizing or 2.5x raise (which they are used to) are ok but once again they are often not optimal for our stated goals here. What if we instead over-raised them on the turn in some spots? What if we mini-raised them? What if we CBet 25% of the pot? What if we just went all in? Always remember that this is "no limit" hold'em. There are no rules. Let's look at a few spots versus some typical bad regs and ask ourselves not what the standard play is but what the optimal play is. This is a great turn card to double barrel on against a weaker TAG opponent like this so we will almost always be firing again. The question is how much though? Well, I tend to bet on the higher side versus a lot of regs when barreling just to let them know that I am serious and that it is going to cost them if they want to continue. So my typical bet sizing here would probably be around 70% of the pot. However, in this situation we caught a great turn scare card which also gave us a bit more equity (gutshot to the nuts). We also are up against a player who folds less than most on the flop and more than most on the turn. We simply don't need to bet so much in a spot like this. So I think it is perfectly reasonable to get away with a turn CBet of as little as 40% of the pot here. It is important to note that I would do this with a really wide range as well. When we know that our turn CBet is probably going to be effective a lot of the time we simply don't need to bet as much. We should exploit this by having a wide bluffing range as well. Versus a more sticky reg I might either opt for a larger bet sizing or even look at the effectiveness of check/raising instead. Let's look at another example. This is a pretty typical flat preflop for the set-mine/outplay in position versus a reg. We don't improve on the flop but this is still a pretty good board to float on. It probably didn't hit his range very hard and we can rep the flush draw as well. We figure that we can simply take it away somehow later with position as well so it's an easy call (or even raise). On the turn a meaningless card falls and villain checks to us. This is a spot where I would just make a bet a large amount of the time. I think it is ok to just check back from time to time as well though because it is hard to rep anything and our opponent may just go into check/call mode with a mid or high pair. On the river which completes the flush villain bets out half the pot. Hand reading in a spot like this should tell us that a weak player is probably going for some thin value with a mid to high pair here. It is very unlikely that he has any sort of nut hand though. Nevertheless, if we call, we almost always lose. So the optimal play here is clearly to bluff raise. How much though? We can see that this particular player is sort of middle of the road as far as regs go for showdown rate at 23%. He typically needs a pretty strong hand to go to showdown but might be capable of making the big call once in awhile as well if he thinks that we are bluffing. But he is used to facing a typical re-raise size here of 2.5x or so. What if we made it 4x instead though? How happy is he going to feel about making the hero call with his JJ or QQ then? That is a big scary bet for a weak reg who has a good hand but not the nuts. Even though we aren't repping a huge amount of hands here there are enough to put some serious thoughts in his head. The flush hit and we could have boated up with 88 or sandbagged a monster from previous streets as well. The larger sizing will perhaps be enough to convince him to let me have it this time and "look for a better spot." The point of this article should hopefully be clear. Standard bet sizings are not bad but they are rarely optimal at the micros especially against fish and bad regs. I should mention that against good regs I typically do keep almost all of my bet sizings standardized. When you are dealing with the handful of solid regs who are big winners at these stakes it is reasonable to expect them to see through a lot of these shenanigans. I prefer to keep my play as GTO as possible against them no matter what I have. You should always be trying to maximize your winrate versus the low hanging fruit at the micros though (fish and bad regs). One way that we can do this is by looking for the bet sizing which is likely to yield the highest long term EV. I emphasize the phrase "long term" because you have to remember that even though you may not have gotten the result that you wanted this time, it does not mean that the bet sizing was necessarily bad. You have to always think long term and ask yourself what the EV is over 10 hands, 100 hands or more. And also remember that when betting for value bad players typically need to have something in order to call you. A lot of newer players will mistakenly slow play or bet too small with big hands because they fail to understand this point. It was not your action which made them fold. You didn't "scare the off." It was simply the fact that they had nothing. Let me know in the comments what you think of the bet sizing discussion in this article and in the examples above. Agree, disagree? Is there a better way? If you enjoyed this article please "Like" or "Tweet" it below! Another great article, thanks BR! Nathan, on the hand examples with weak/bad regs, why do you consider them bad regs? I mean, 14/11/3 seems pretty solid to me. The WTSD of 23% is also not far from the mark, right? And we would have to have a huge sample on this guy to put him as weak based solely on WTSD%. Another question, playing this style (folding to any major aggression) isn't the reason you're such a big winner at these stakes? Good question. I probably shouldn't have labelled this opponent as a bad reg actually without more information. There is nothing wrong with 14/11/3 as you state. 23% WTSD% is pretty typical as well. I am actually going to edit that section a bit to just "normal reg" or something. It's just all about picking your spots. Sometimes versus a weak reg you should be folding to any aggression. Sometimes you should be applying it if they are just in call/weak mode like in this example. Can I ask a question about playing AK at the Micros - it's the one hand I really struggle with. Against a weak/passive player for example, I 3 bet and get called, then c-bet and am called again and end up folding (obviously having missed the flop/turn). What's your line against these guys with AK both pre and post flop (having missed)? Thanks! This is one of the most common frustrating scenarios for a lot of people. I know it was something that I struggled with for years as well. There isn't really any kind of surefire fix to it though. There is nothing that you can do to make somebody fold who just isn't going to fold. I think that unless you are absolutely sure that the guy won't put in his stack with his mid pair then you just need to give up on the turn. On the flip side, go for the jugular when you have TT+ or connect with your AK against a player like this.